High flying adventure above the High Desert starts with Advanced Flight Dynamics. Choose the 20-minute flight package if you want to sit back and let the pilot maneuver the plane through a series of twists, turns and thrilling aerobatics. Looking for a more hands-on experience? 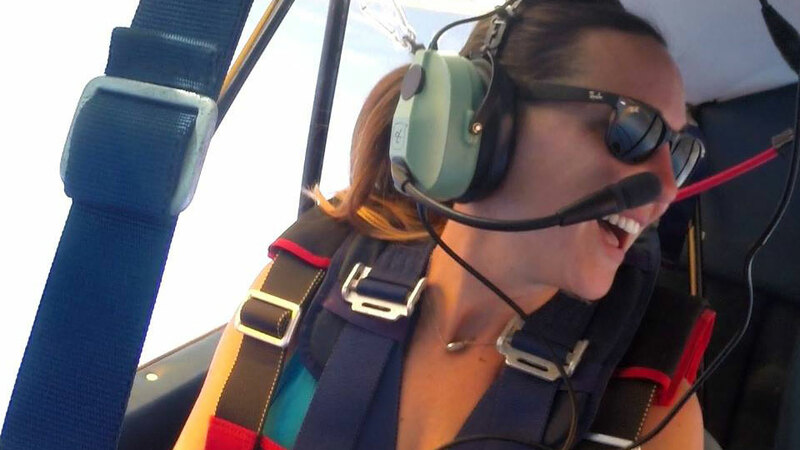 The 45-minute flight package lets you take the wheel, with the flight instructor demonstrating how to fly each maneuver, then giving you the controls to try each maneuver yourself. Both packages include pre-flight briefing and after the flight you can watch the video of your journey and take home a copy to share. You’ll also have your picture taken with the airplane to commemorate your adventure. AFD also offers Upset Prevention and Recovery Training (UPRT), stall/spin, Aerobatics, Tailwheel training, and formation training for pilots. UPRT courses are in compliance with the Airplane Upset Recovery Training Aid – Revision 2 which is published by the FAA and leading aviation industry companies. AFD’s mission is to provide the best specialty flight training possible and to make better all-around pilots.